This beautiful 8.5" x 11" hardcover limited edition volume is a treasure trove of pictures, original artwork and stories recording the people, places, and events of the past 100 years. 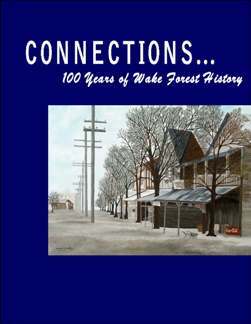 Throughout the pages of this book, you will enjoy the rich history of Wake Forest and learn how it has grown from a small college town to a thriving community of more than 40,000 residents. Be a part of this historic endeavor by purchasing your copy for only $20/each. 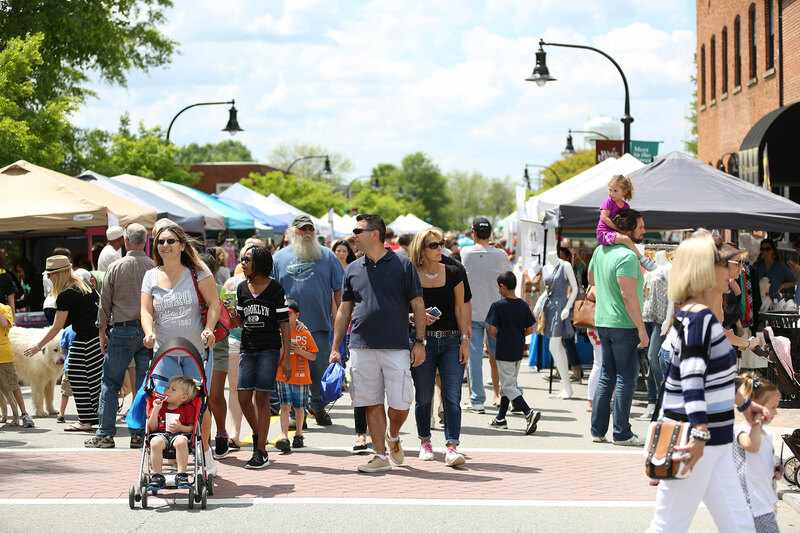 Order your copy of "Connections"
Local businesses, civic organizations, and residents are invited to "be a part of history" by purchasing an engraved brick paver for $125. Each engraved brick will become a permanent part of Centennial Plaza - located just outside the new town hall - to be viewed and enjoyed by residents and visitors for years to come. 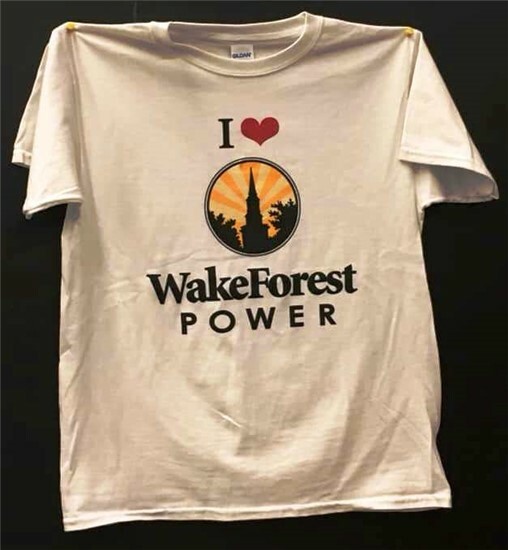 Wake Forest Power is selling commemorative T-shirts for $10 each to raise money for the H.O.P.E. program. Available in a variety of adult sizes, the T-shirts prominently display the Wake Forest Power logo. All proceeds from T-shirt sales will go to support the H.O.P.E. program, also known as Helping Others by Providing Electricity.